Theseis accurately selects real estate transactions and products for wealth management advisors through a fine territorial analysis (market, competition ...) with the criteria of the Laboratory of Real Estate®. Alliance Healthcare is a subsidiary of Alliance Boots, which services more than 125,000 pharmacies, hospitals and care centres throughout the world, thanks to its 380 warehouses distributed among 14 countries (including partners). Controlling 30 % of the market, Alliance Healthcare is a major actor in France in pharmaceutical wholesale and distribution of medicine and healthcare products. It offers a complete and personalised approach with solutions and services for its different partners, pharmacies as well as pharmaceutical industries. With 5,000 associates, it registered a sales turnover of Euros 5.5 billion in 2005. The company delivers 15,000 pharmacies everyday and has chosen the software TourSolver for Microsoft MapPoint to plan and schedule the distribution routes of its 1,350 vehicles. Deliveries are managed from 53 distribution centres which supply the 4,000 daily routes. 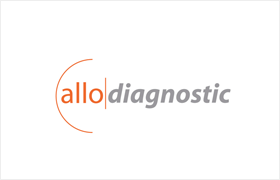 As France's leading real estate diagnostics company, Allodiagnostic boasts an integrated network of 38 agencies and 150 diagnosticians certified in private real-estate transactions and letting and in managing asbestos-related problems in the professional arena. Peterborough City Council Social Housing Services manages 10,200 properties. They provide repair and maintenance to their occupiers. The maintenance demands are registered by a call-center, which transmits the tasks to mobile technicians.